We are so grateful for each and every one of our generous donors. 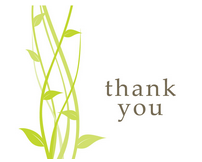 Thank you all for supporting the work we do and naturopathic doctors across California! Every accomplishment of the CNDA is a direct result of your care and commitment. To find out about what your donations have helped the CNDA achieve in the last few years, see our Legislative Accomplishments page. To contribute to the CNDA's efforts, donate now and visit our Advocacy page!